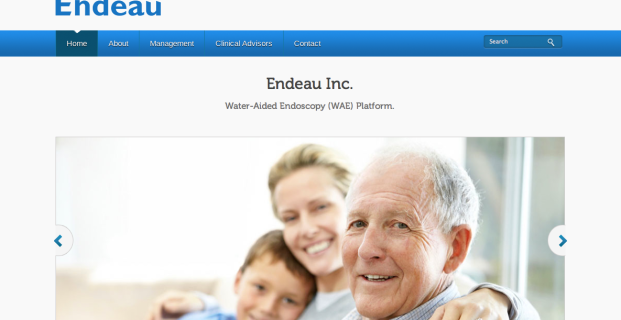 Endeau is developing a platform of proprietary medical devices involving water-aided endoscopy. 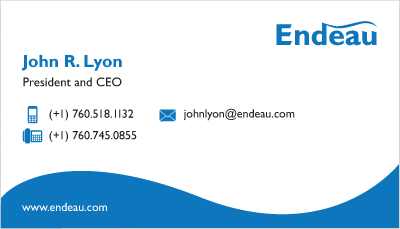 Design a brand identity and professional materials so that investors will invest in Endeau. 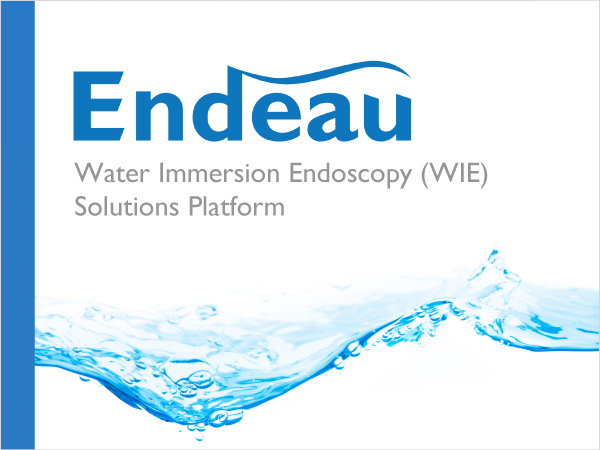 I created a simple wordmark that visually captures the water aspect of Endeau’s medical instruments. The wave graphic and the color blue are applied throughout to unify all of the materials and make them look professional. 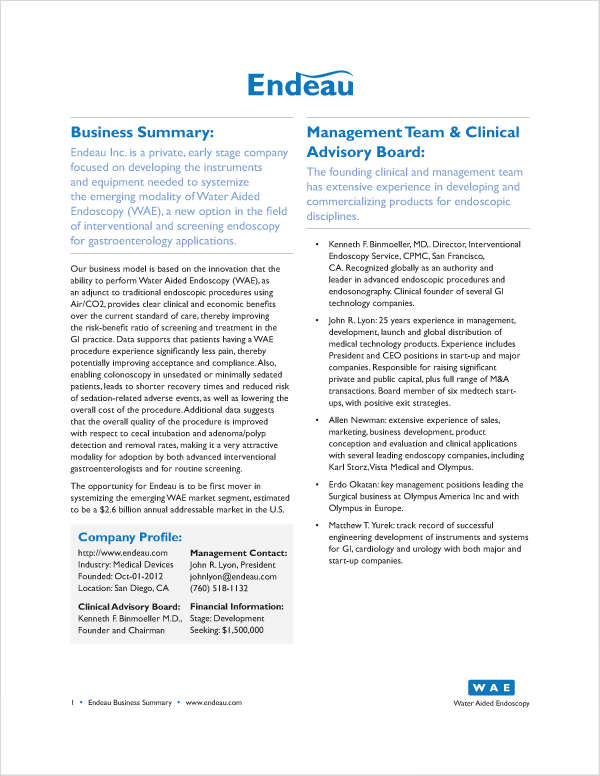 This is a new project and I am awaiting investor results. Check back for an update.